Marcos Alonso gave victory to Chelsea in the final minutes of aprender after a good header from pass to Willian. The tie will be resolved in London. 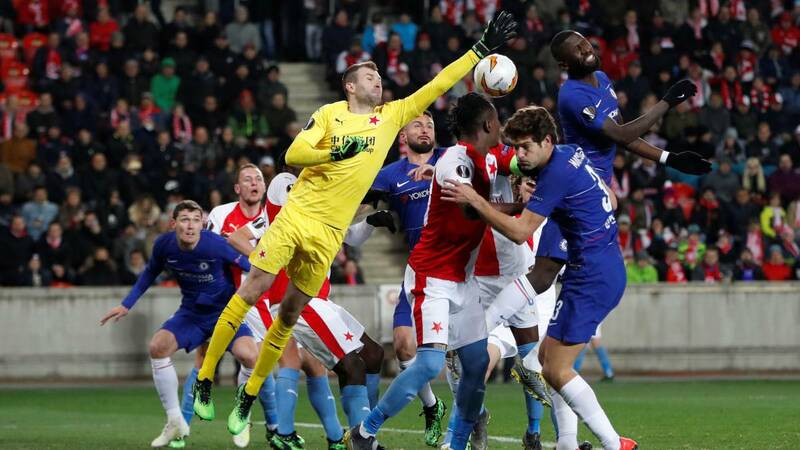 The Slavia of Prague started the match very well by tightening the Chelsea ball, but did not get great chances. A great play by Willian ended the ball on the crossbar. The game went to the break without goals. In the second half Chelsea dominated the game from start to finish. Kepa avoided the goal of the locals with a save after a good counter ended by Traore and at the end of the game he avoided the emapte of his team taking a shot to Boril. Hazard came out to give the victory to his team, but it was Marcos Alonso who got it with a great header inside the area after a millimeter center of Willian.